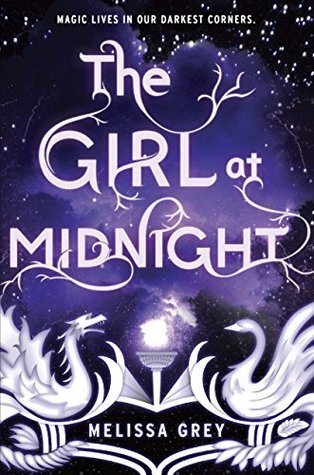 For readers of Cassandra Clare's City of Bones and Leigh Bardugo's Shadow and Bone, The Girl at Midnight is the story of a modern girl caught in an ancient war. Beneath the streets of New York City live the Avicen, an ancient race of people with feathers for hair and magic running through their veins. Age-old enchantments keep them hidden from humans. All but one. Echo is a runaway pickpocket who survives by selling stolen treasures on the black market, and the Avicen are the only family she's ever known. Echo is clever and daring, and at times she can be brash, but above all else she's fiercely loyal. So when a centuries-old war crests on the borders of her home, she decides it's time to act. Legend has it that there is a way to end the conflict once and for all: find the Firebird, a mythical entity believed to possess power the likes of which the world has never seen. It will be no easy task, though if life as a thief has taught Echo anything, it's how to hunt down what she wants . . . and how to take it. But some jobs aren't as straightforward as they seem. And this one might just set the world on fire. I listened to this one on audio and for the most part that went well. Julia Whelan did a great job of distinguishing her voice between the characters in a way that matched their personalities. The downfall was that this book took a really long time to get into. Being the first book in a fantasy world, a lot of book 1 falls on explaining the world and how it works. With this one, I think the combination of that fact and the feeling of audiobooks sometimes going slower than reading, made me really struggle in the beginning. I almost DNF but decided to push through. At about 41% through the book, the story really started to take off. The second thing about this book was that I read the reviews beforehand and many of them compare this book to another popular YA book series. This made me a little nervous, because I did not really connect with that other series. I read the first book and then didn't read the next two, although I own them. I am purposely not telling you the book series, because knowing what happened in the first story and seeing all the comparisons between that and this became kind of a spoiler for me. I was still surprised at the end of Midnight, but not as much as I would have been -- some of the connections had already been made. Those two points aside, I really started to enjoy this story and by the end I was exploding with feels. Oh, I want my ships to happen! Not just the main one (that's a thing regardless), but the other one! I'm really hoping they become a thing in book 2. The interesting thing about how this book ends is that I have absolutely no idea where Melissa Grey is going to go with the story now. I kind of like that! It will have a distinct feel of a whole new story, but also feel familiar as we continue on the journey with Echo, Ivy, the Alla, Caius, Jasper, and Dorian. And the bad guys, of course.